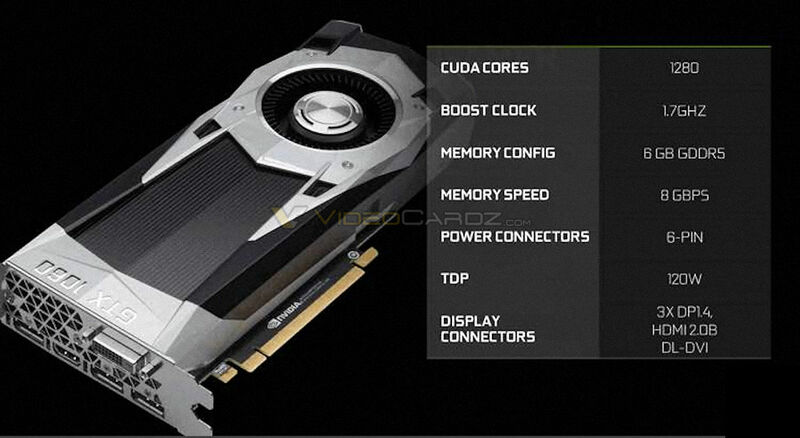 NVIDIA GeForce GTX 1060 specifications have leaked. The card features 1280 cores and 6GB of GDDR5 memory which run at 8GBPS, with a boost clock is somewhere around 1700 MHz, which gives us maximum compute performance of 4.4 TFLOPs. The GTX 1060 has TDP of 120W and require one 6-pin power connector. Also, the previous leak image was correct; this is the new NVIDIA reference design for Founders Edition GTX 1060. 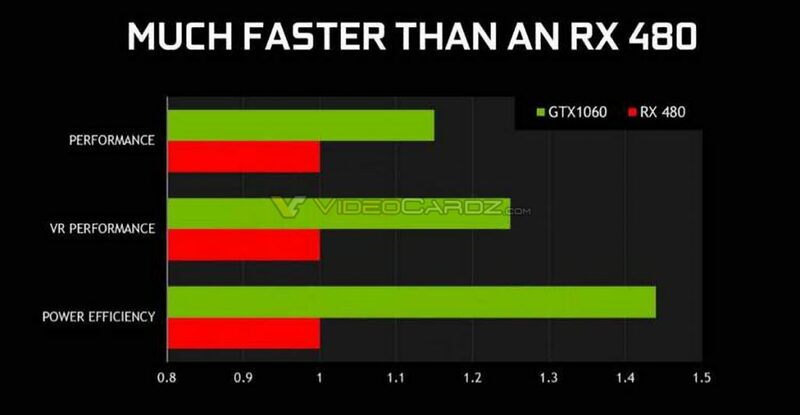 As this suggest that, the new GTX 1060 will be faster than Radeon RX 480 regarding performance still being 1.4x more power efficient. 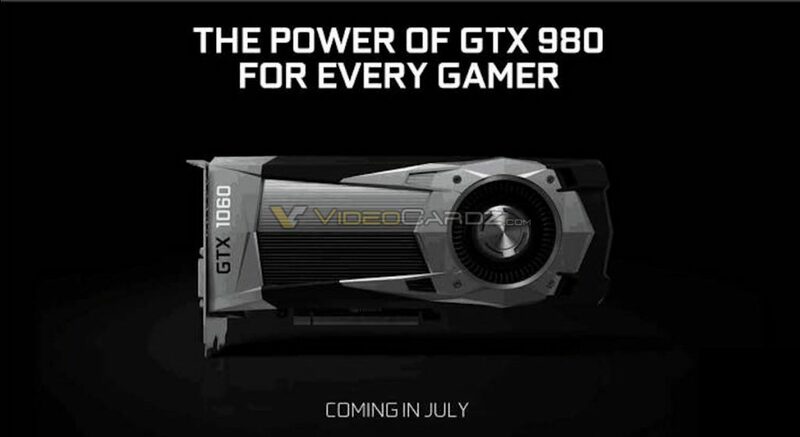 NVIDIA may launch the GTX 1060 on July 7th, and the card will be available for sale on July 14th.